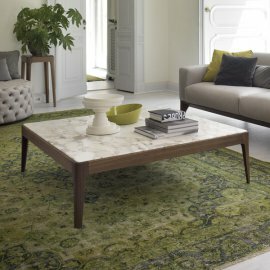 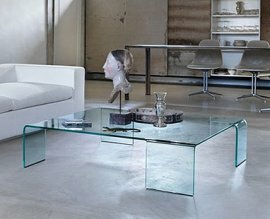 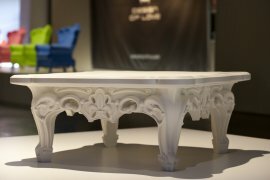 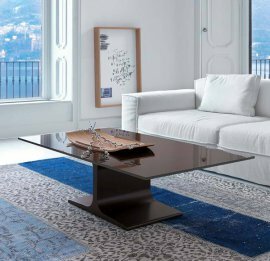 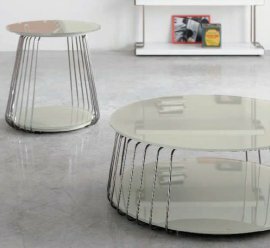 In our curated list of contemporary coffee tables, we're proud to list some of the most exclusive and beautiful Italian designs from the country that has the world's leading technical ability (cutting, forming and bending of glass) and the most gifted modern coffee table designers. 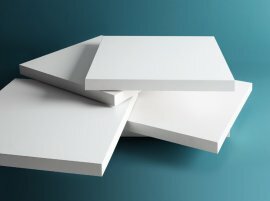 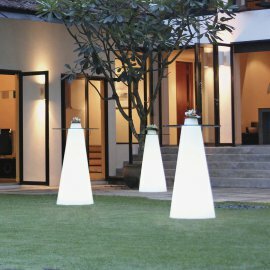 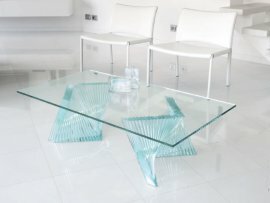 You'll find a diverse range of shapes, including rectangular, round and square and different types of glass such as extra clear, smoked and painted. 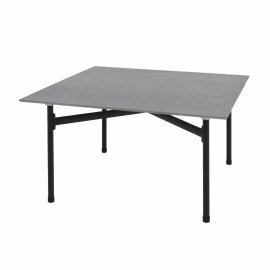 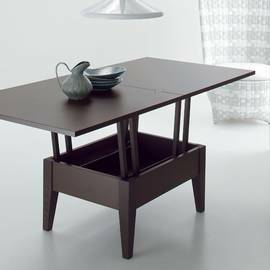 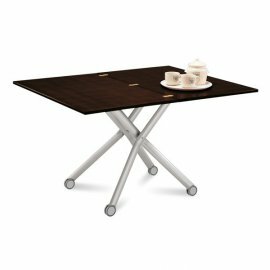 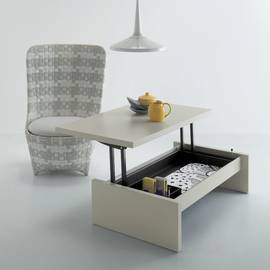 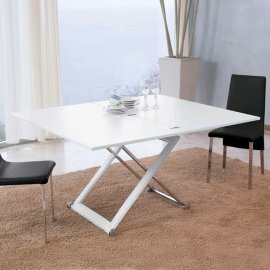 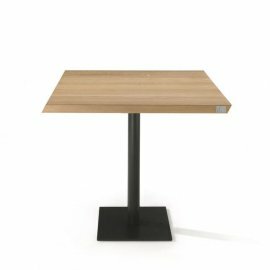 We also have height adjustable and space saving tables which can transform to serve dual purposes (e.g. 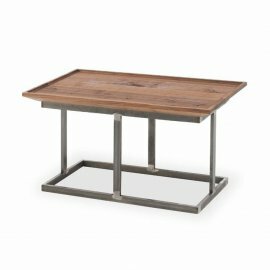 dining or a work desk). 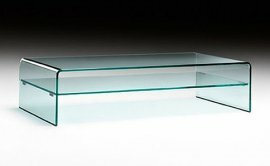 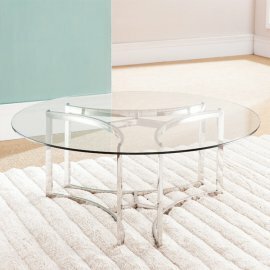 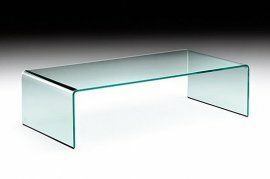 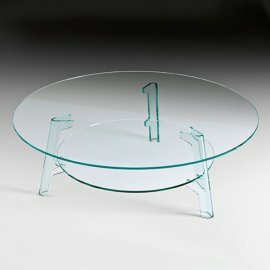 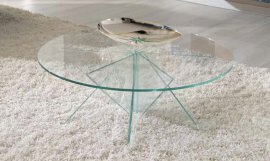 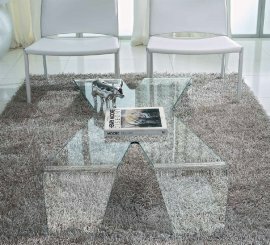 Some glass topped coffee tables can be made in custom sizes, please contact us to check availability and pricing. 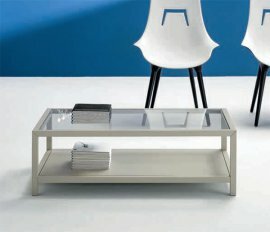 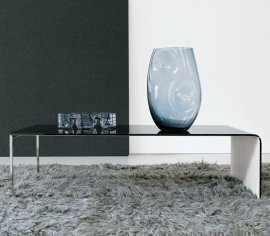 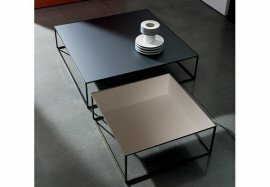 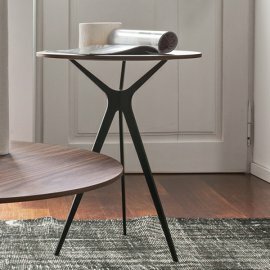 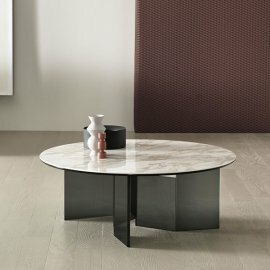 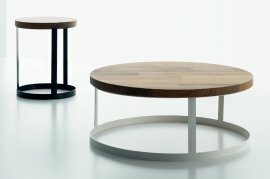 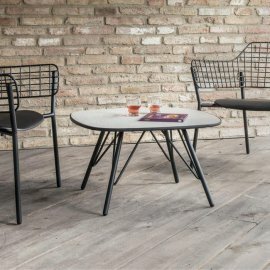 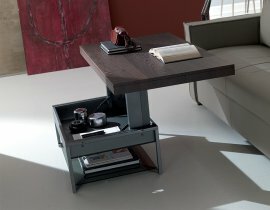 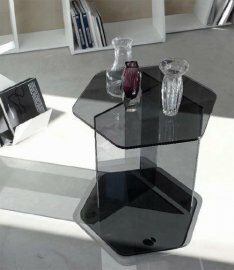 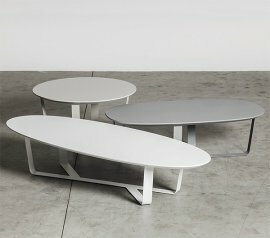 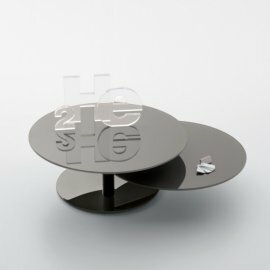 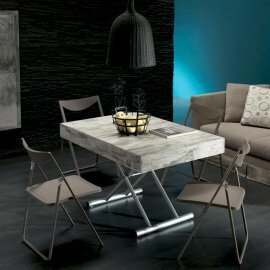 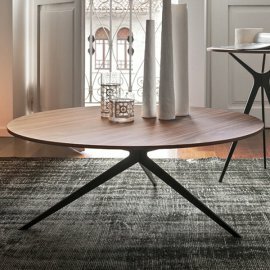 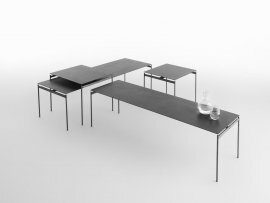 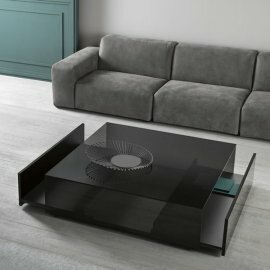 The Maciste table has a distinctive modern design and flexibility of use thanks to the numerous finishes available and the internal gas lift, giving it the..
Ring coffee table, designed by Gianluigi Landoni and made by Sovet, has won the MUUUZ International Design Award in the category of 'coffee tables'. 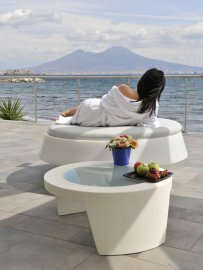 The..
Wind is a perfect example of the innovative design associated with Unico Italia. 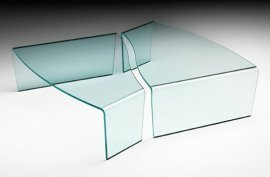 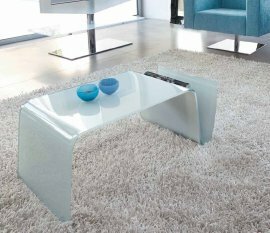 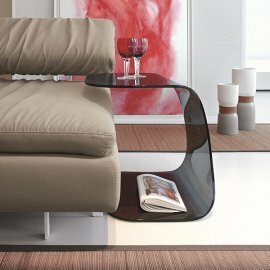 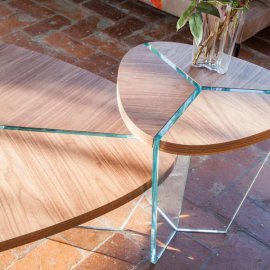 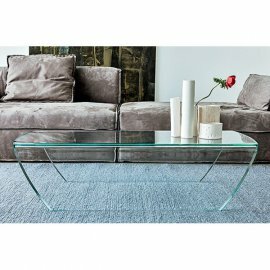 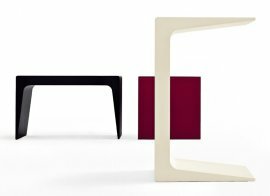 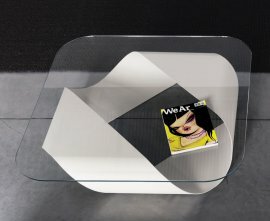 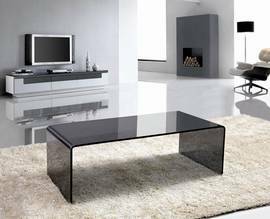 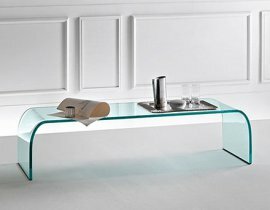 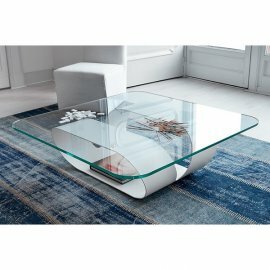 The legs are made from curved glass and overlap, fitting together thank..
Enigma is a modern coffee table that emitomises minimalist contemporary design. 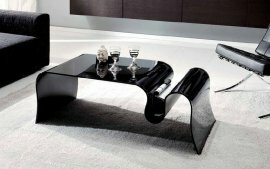 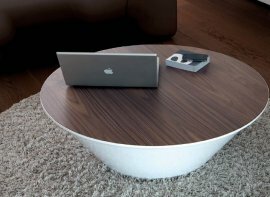 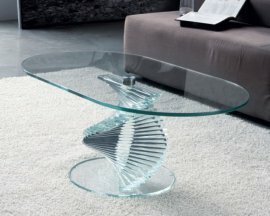 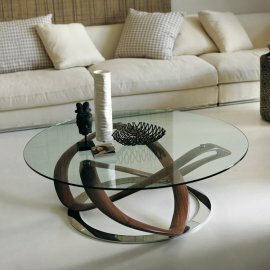 This coffee table has no straight edges, the curved create a softer look.. 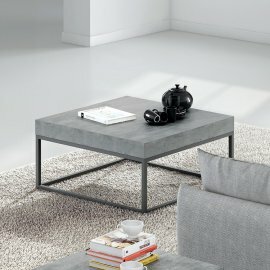 This new product from Sovet has a very clean contemporary look. 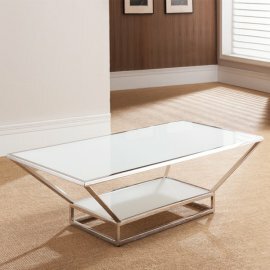 The main body of the coffee table is bent glass with a central wooden drawer/shelf. 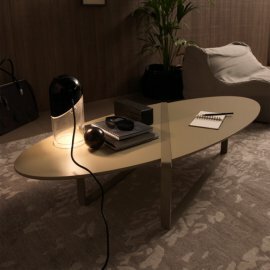 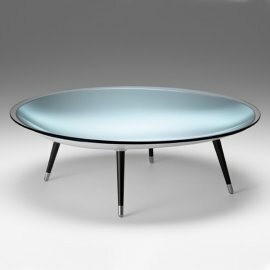 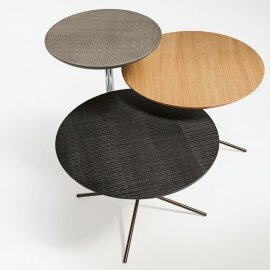 The wid..
Ring is a new coffee table from Sovet - equally appealing in either version, with or without a glass top. 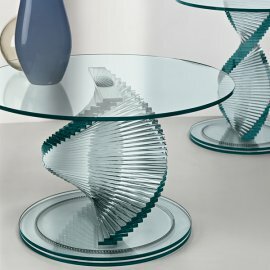 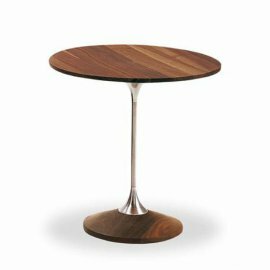 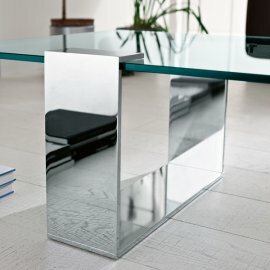 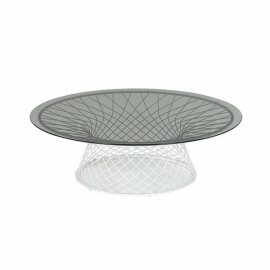 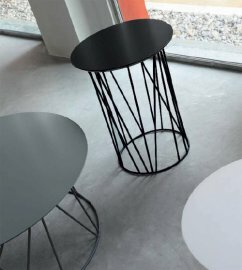 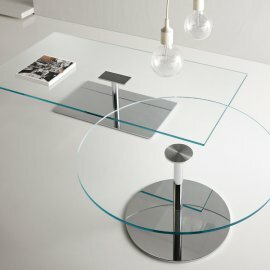 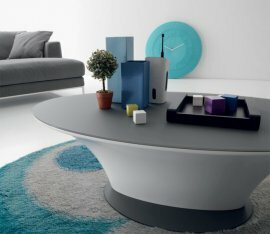 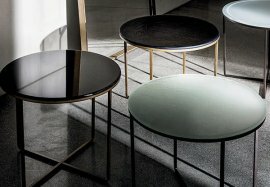 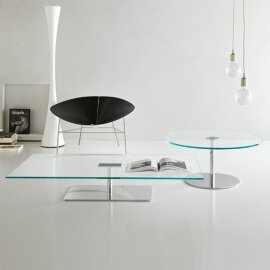 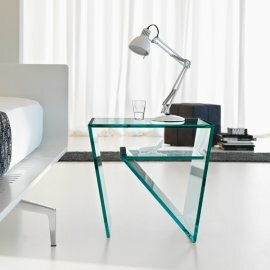 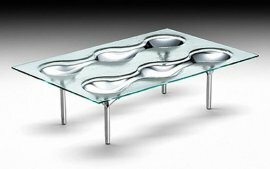 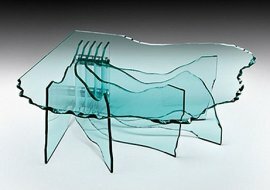 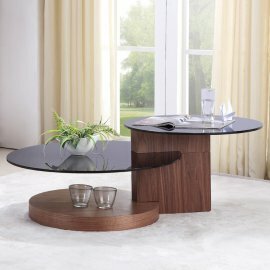 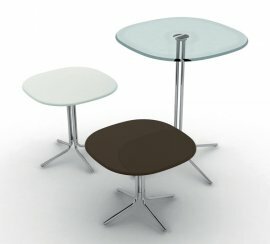 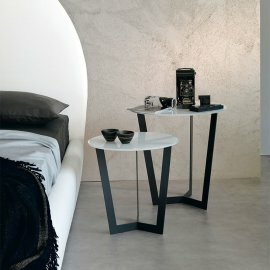 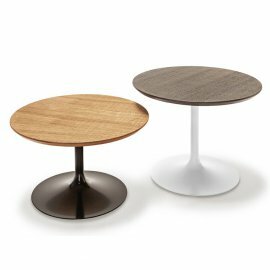 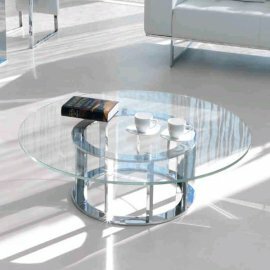 The crucial characteristic of Ring is the curv..
A unique take on glass coffee/side tables with surfaces on different levels. 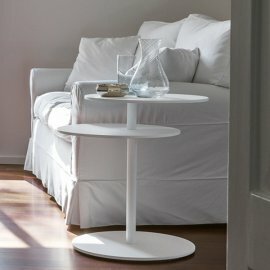 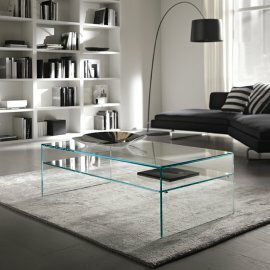 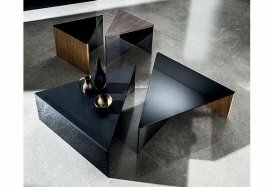 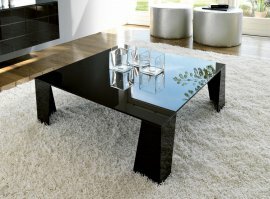 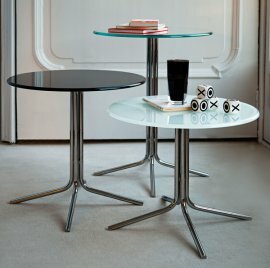 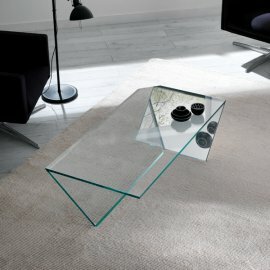 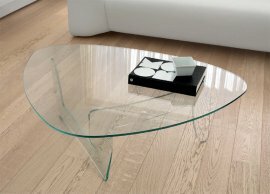 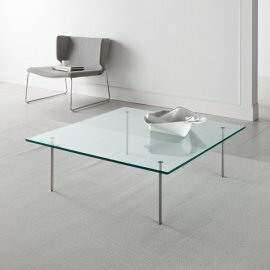 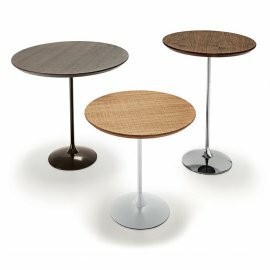 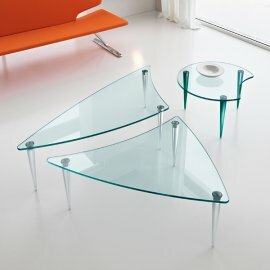 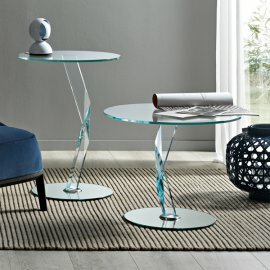 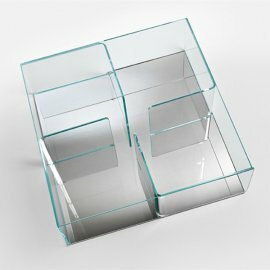 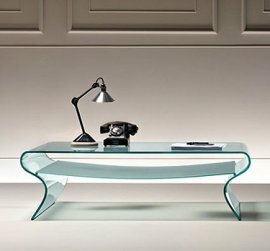 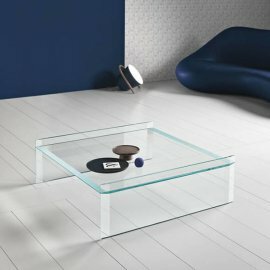 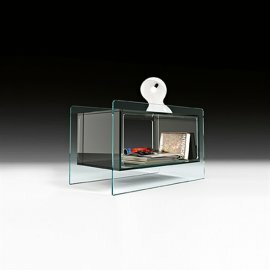 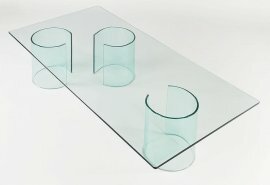 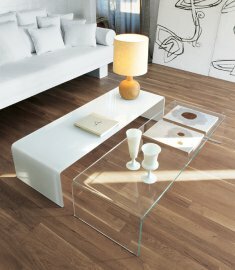 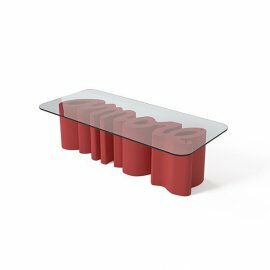 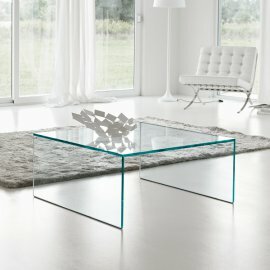 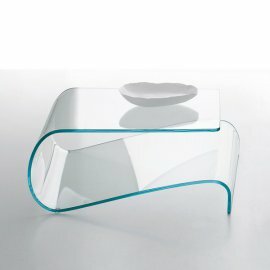 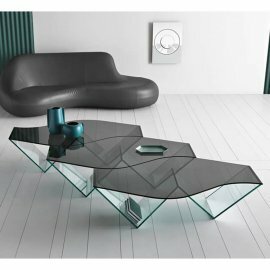 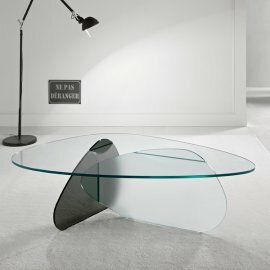 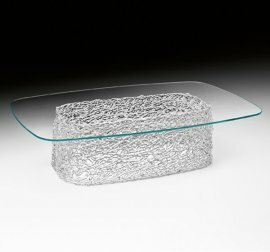 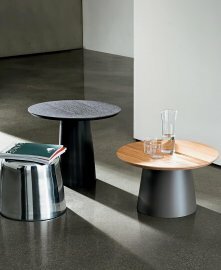 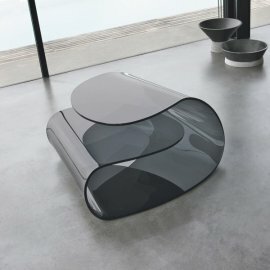 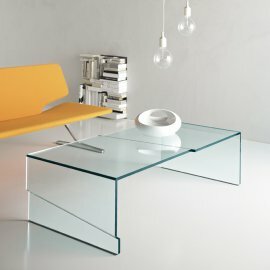 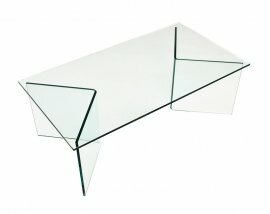 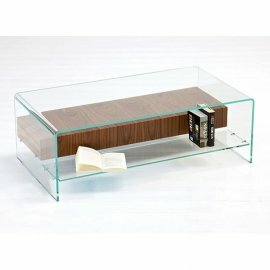 The products are made entirely from 12mm thick glass, the tops are bonded t..
Muffin is an unusual and unique coffee table or end table by Bonaldo -new for 2013. 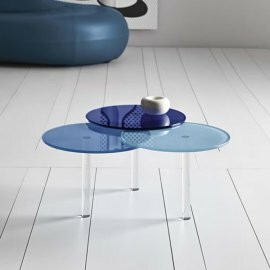 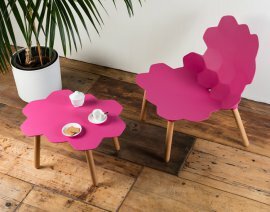 The main structure is made from batch-dyed polyethylene and is avail..
Orion are a selection of highly contemporary coffee table/end tables with a design that somehow manage to convey retro and futuristic vibes at the same tim..
A unique coffee table/side table designed by internationally renowned icon of design Karim Rashid. 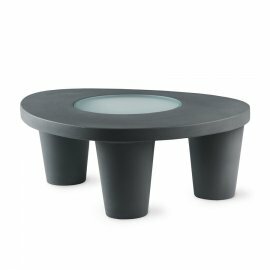 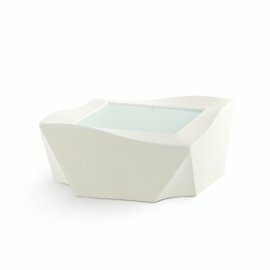 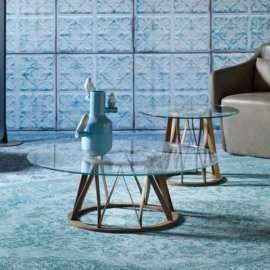 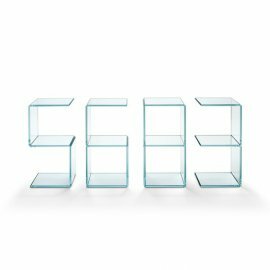 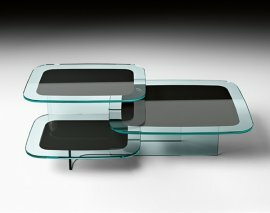 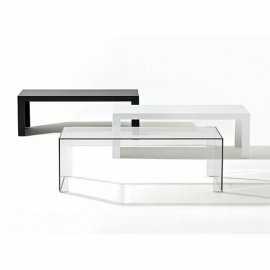 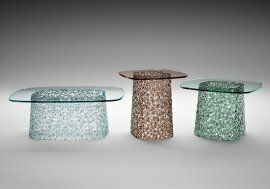 The top and base have contrasting styles, top with ro..
Bakkarat is a collection of small coffee tables/side tables made entirely from glass. 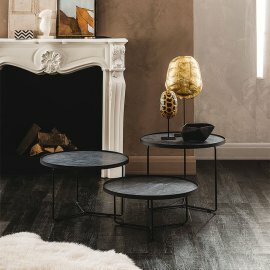 The base and top are round with a 'twisted' central stem made from..
Congratulations are in order for designers designers Paolo Lucidi and Luca Pevere after their innovative table collection Macrame won the award for best p..
Tilos MC is a stunning coffee table from Frag with a uniquely decorated base. 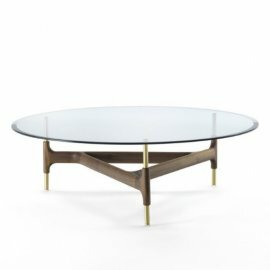 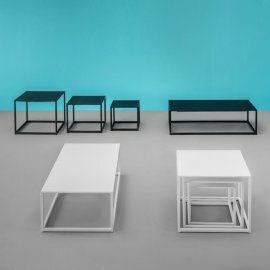 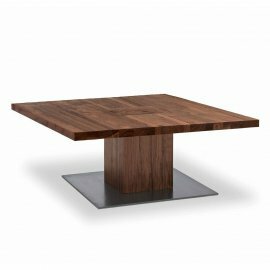 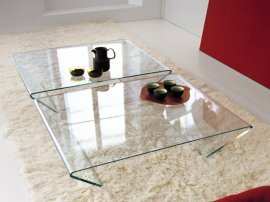 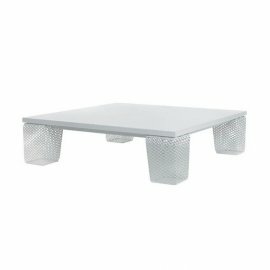 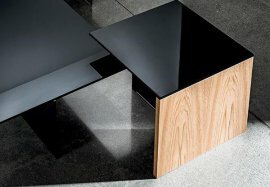 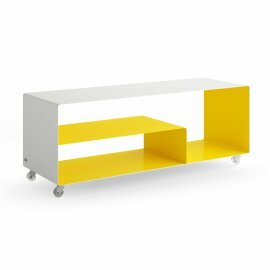 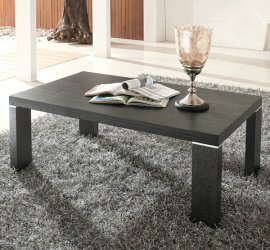 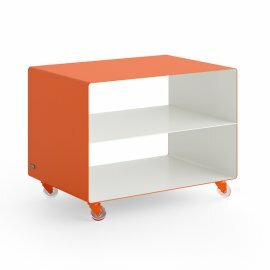 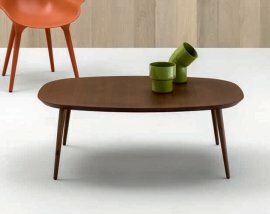 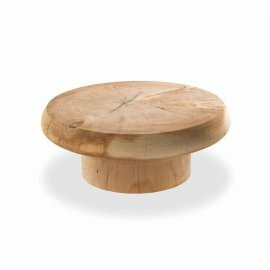 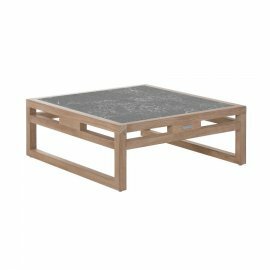 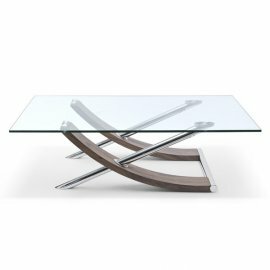 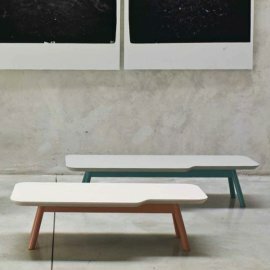 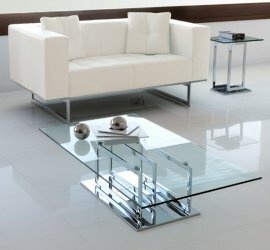 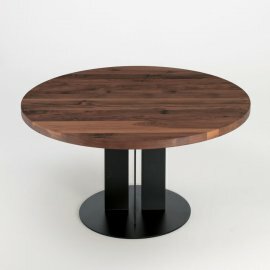 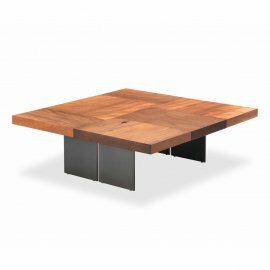 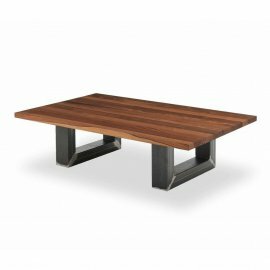 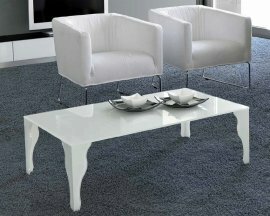 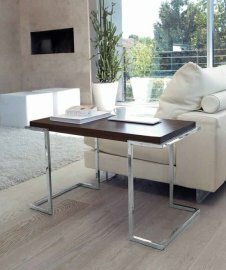 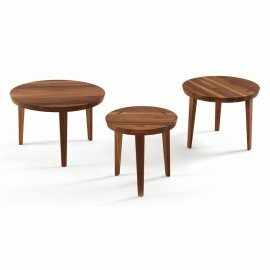 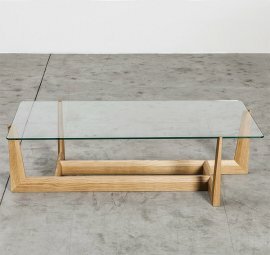 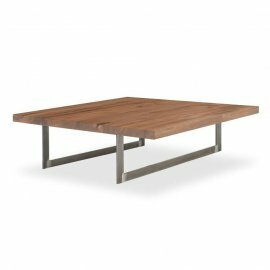 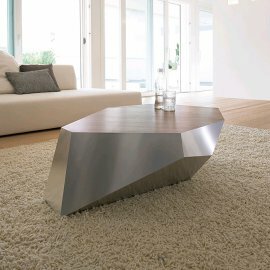 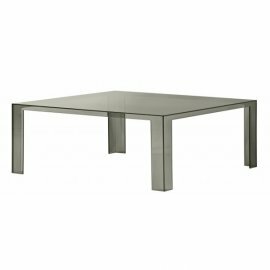 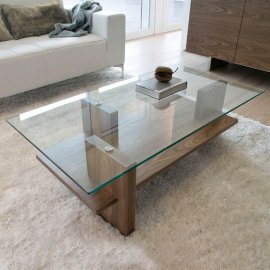 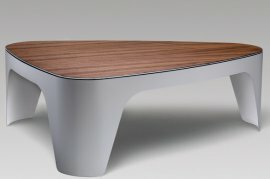 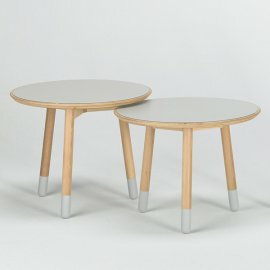 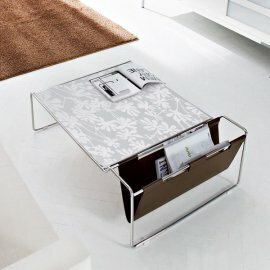 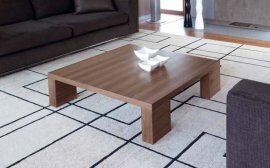 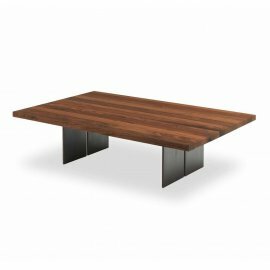 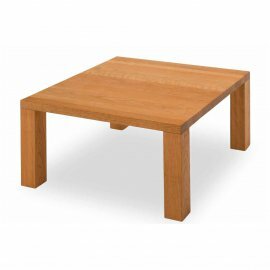 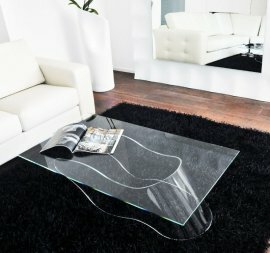 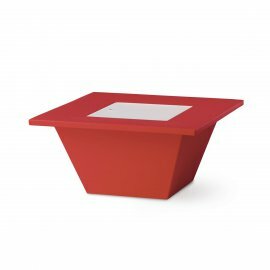 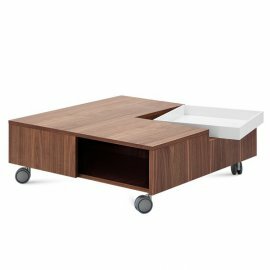 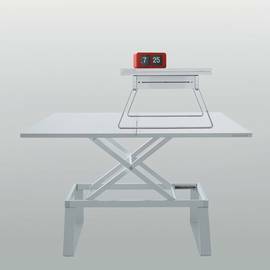 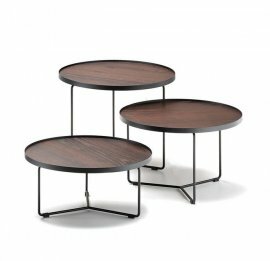 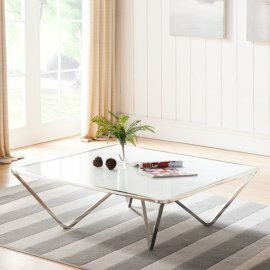 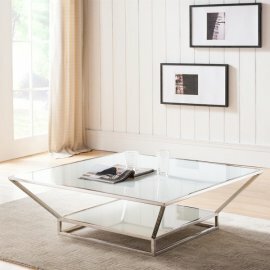 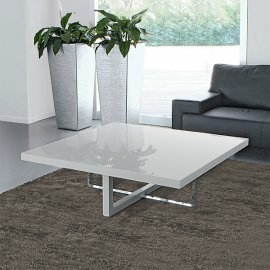 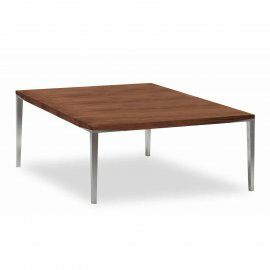 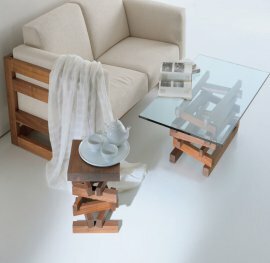 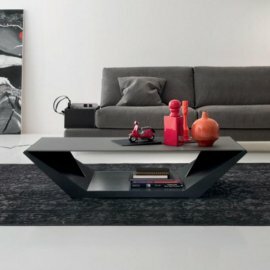 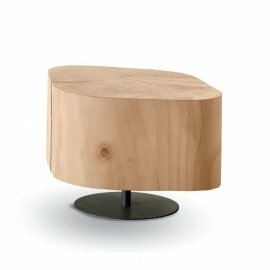 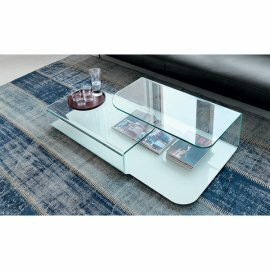 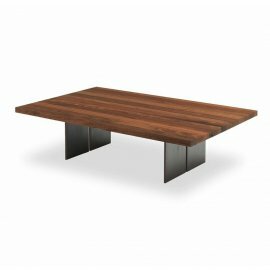 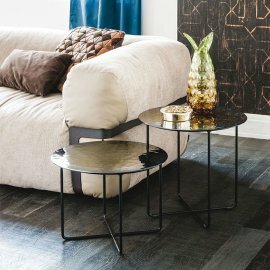 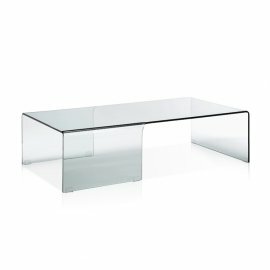 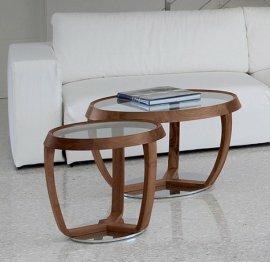 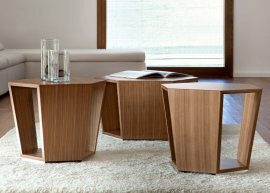 The overall design of the coffee table is modern and minimal - the rectang..
Roto is a modern coffee table with a unique design. 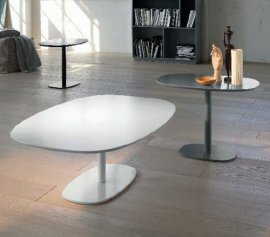 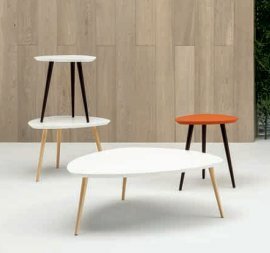 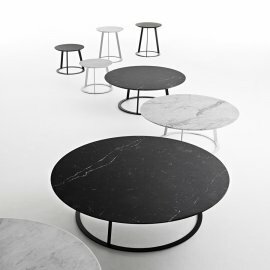 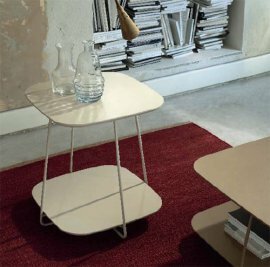 Roto consists of 5 tables tops, the topa nd bottom of which are fixed and the three in between rotat..
Big Planet is a stunning large coffee table designed by Gino Carollo for Bonaldo. 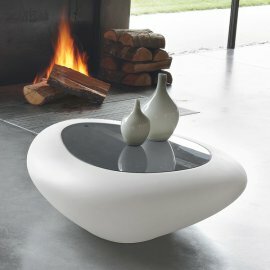 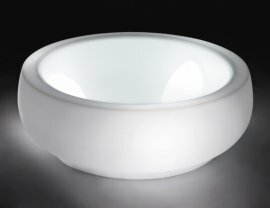 The base is a a rounded aluminium bowl with a flat base, available in..
Karim Rashid continues his highly successful relationship with Tonelli in their latest collaboration Splash. 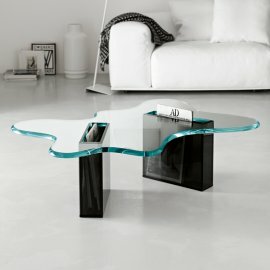 A coffee table available in 2 sizes, Splash..